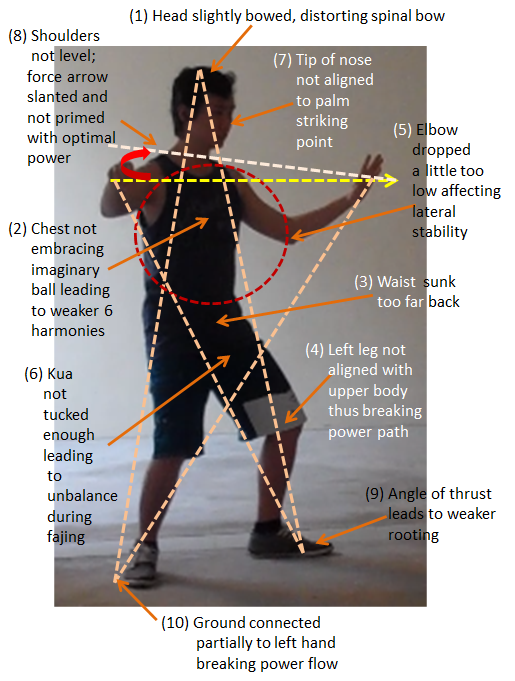 In TaijiKinesis Vol 1 I presented an analysis of the things that were wrong with Gregory’s Single Whip posture. I have extracted the analysis below from page 108, TaijiKinesis Vol 1. I am happy to see that he has fixed his posture and now his Single Whip posture is filled with intent, energy and primed with power. My teacher said that we exchange time for skill. 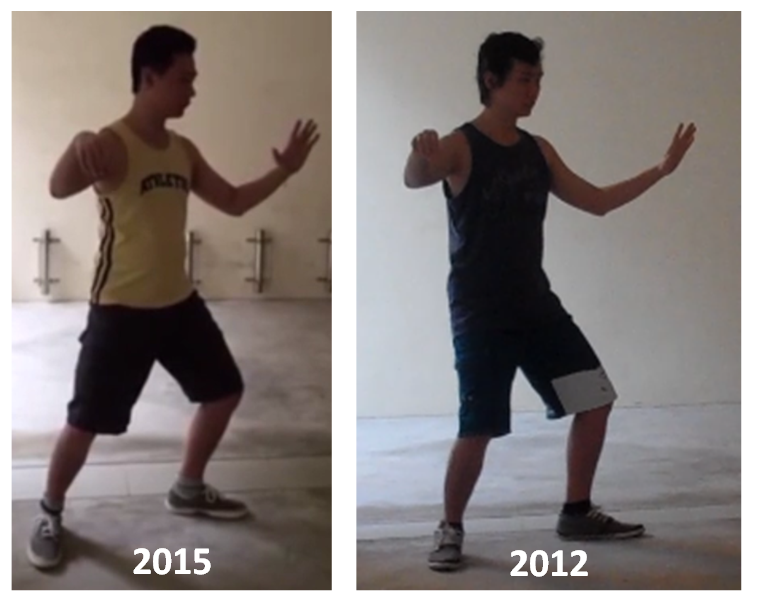 Over the 3 years from 2012 to 2015 as Gregory kept practicing the same form what was wrong initially gradually became right as he continued to work on the principles. This is a good illustration of what I mean when I say that To Master Tai Chi Today you have to focus and keep doing the basics over and over again for as long as it takes to get them right. This entry was posted in Form, Learning, Practice, Structure, Student-Notes and tagged taichi, taichichuan, taiji, taijiquan, yang style by Mushin. Bookmark the permalink.